Customers want to be treated like the business needs them. They want customized newsletters, emails, and for a business to recognize them as an individual apart from everyone else. They also want to be able to tell their friends and family how well they have been treated by businesses and recommend those businesses to others. 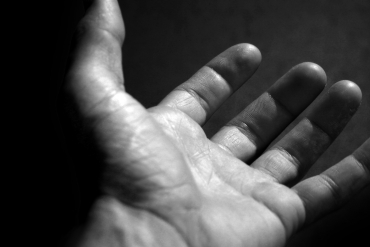 These types of customer needs can not be met by a one size fits all approach. Each business is unique and that calls for unique and outstanding customer relationship management. Every business should focus from the beginning and if they have not already, on finding an IT company that can tailor a custom CRM experience for their customers. IT companies can develop or put in place custom POS or point of sale systems for e-commerce business to compliment the CRM experience. products that they sell or the services that they provide. This can add professionalism to the platform and branding in the customers eyes. 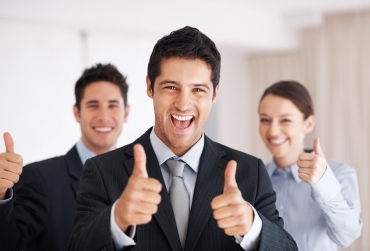 It can help employees easily navigate the CRM systems in place to find customer information. Being able to answer the phone with an, “Hi, Mrs. Smith. How can I help you?”, because the CRM system in place let the customer service agent know who was calling can provide a positive customer oriented experience. A customer that is able to go to a professional website, log-in, and find all of their account information and the answers to the questions that they need without having to even call is better! Being mobile in today's world is a must have feature that can not be ignored. The days of being stuck behind a desk are over. IT companies can develop your mobile CRM and POS systems. Cloud based CRM and POS systems are the wave of the future. Having information on the go is important to ensure that the employees of a business have access to the information they need, wherever they are. You want to have customers information and at the same time be sure that it is secure at all times. This is not something to be taken lightly. Businesses need to make sure they are picking the right IT company for the job and that they have a good track record of providing secure products and cloud data storage. Password access is a must have also. Different employees need different information and some may need more clearance to information than others. The point is to figure out who needs what and develop systems that give people the tools they need to succeed. IT companies can implementation after finding out what a business needs and some even train employees on the systems. Custom CRM solutions for business is a crucial step in making sure a business is keeping up with the times or getting started off the right way by reducing operation costs and provided a better customer oriented experience. As the advanced age prompts a movement from outbound to inbound showcasing, we're seeing the limit differentiating our individual and expert lives progressively smeared. Our calendars are reliably pressed; or if nothing else apparently so. Subsequently, we're looking for safe streets which will lighten our heap, instruct our staff, create a dependable profit for money, produce executioner content, and above all — include an invigorating quality of accommodation to our business. 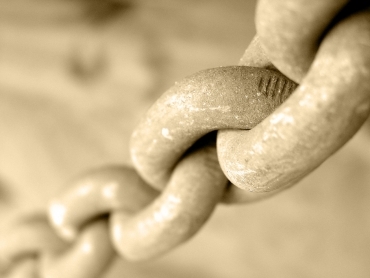 Wouldn't it be incredible to have a supernatural mechanized framework set up that just does all work for us? Like most things, there is no "brisk alter" or ensured arrangement that will inescapably help your business through to success. On the other hand, when approached deliberately, and in pair with the right learning and reasonable desires, yes, robotized promoting can fill in as a powerful supplement to your plan of action. Simply sort a part of the idea into your Google hunt bar and you'll discover an immersion of choices which can be fairly overpowering. All of which are arguing for your consideration, also your monetary speculation. It can be truly hard to wrap your head around promoting robotization without escaping on the billow of gullibility that numerous organizations trust you indiscriminately take after. In the most hopeful sense, promoting mechanization is characterized as programming and strategies that permit organizations to purchase, offer and work consequently – that is, to sustain prospects with customized routines and stunning substance that help change over them to clients and transform clients into promoters of your image. The truth of the matter is, "promoting mechanization" has gotten on as a popular expression inside our industry. Numerous organizations are treating this system as the most important thing in the world for the fate of their image or administration's attractiveness – and for a few organizations it can be, yet positively not for all. Numerous computerized advertising battles fizzle and result in poor rate of return and squandered time (also frustration). One of the principle reasons that mechanized showcasing comes up short, is an absence of mastery or absence of exertion. Eventually, the decision to put resources into programming is your own particular attentiveness as a business. The choice is a noteworthy one that ought not be taken daintily, especially in light of the fact that this will for the most part result in a continuous monetary venture. For a thought with reference to how much the product will cost. An extraordinary sentiment for a few organizations may be to put resources into a B2B organization with aptitude in implementation, and just pay them to encourage the methodology. You'll get preparing and likely think that it much less demanding to end up certain and knowledgeable in promoting yourself autonomously in the long run! The tools that were once thought of as props on Star Trek are here. We are not traveling through space on the Voyager or Enterprise ships; we are right in our own homes scanning ourselves for our doctors to receive the information in the cloud-based platform. It is happening much sooner than most people expected, but the technology is there, and people are using it. Bluetooth-connected thermometers allow people to check their own vitals and allow their doctor to access their information via the cloud. There are also Bluetooth-connected stethoscopes that do the same thing. These little devices allow the doctor to know if there is something serious going on with their patients. The patients have to, of course, use the instrument to send that information. There are also scales available for people who are trying to monitor weight and blood sugar monitors that store readings in the cloud for doctor review. The idea is to make it easier on us people with busy lives to send information to our doctors without missing things such as work to go sit in a doctors office all day. It also prevents patients from having to go to the doctor when they are not feeling well. Nobody wants to drive to the doctors office, do the appointment, and the go to the pharmacy when they are not feeling well to begin with. It is much easier to just log on and do what the virtual doctor says such as taking your temperature or blood pressure. The system works by signing up for a CliniCloud kit and purchasing it at almost $110. Then that connects to the Doctors on Demand service already available. The Doctors on Demand service is an additional cost. This is much higher than a regular thermometer or stethoscope would cost to just buy them, but there is nothing connecting them to doctors. This is the beginning of an age where doctors can diagnose patients virtually over the web and let them know their medical opinion without the patient leaving the house. 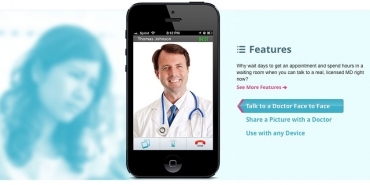 The Doctors on Demand service can be of use to businesses and their employees already. They offer basic health-care and urgent care matters, along with services like seeing Psychologist right from the employees home. It can vut the health- care costs for a business greatly by implementing their program for employees. 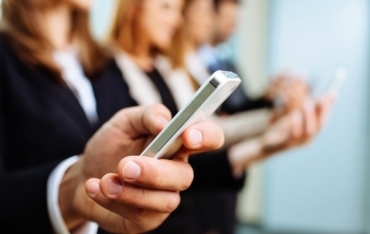 Employees of a company enrolled in the program can have access to a doctor or Psychologist via their mobile device or computer in less than 45 seconds. How far is health-care going to go outside of a doctors office and a hospital? Is the future going to be scanners everywhere monitoring our heartbeats and temperatures? If a person has ever experienced a heart attack, had a diabetic seizure with nobody around, or not realized that they had a serious lung infection until it was too late, would probably say this type of medicine that is connecting patients to the cloud is a good thing! As one of the additionally interesting web promoting stories of the previous week, Google has reported that they have collaborated with Twitter once more. In the event that you review, Google had entry to the Twitter "blaze hose" a couple of years prior, however that assertion lapsed in mid-2011. Since that time, tweets have gone basically un-indexed (a few sources have demonstrated that under 8% of tweets can be found in the Google SERPS). For those of us who have been in the web showcasing amusement for as far back as decade, we ought to review the days when Google gave ongoing indexed lists, including tweets. These outcomes vanished from the list on the day that the first arrangement terminated. After near to 3½ years working independently, the two have united once more. 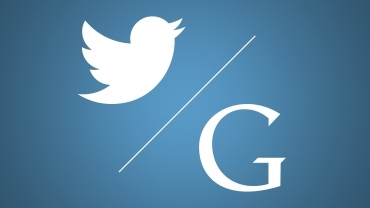 Eventually in the first 50% of 2015, Google will begin to list tweets again as they turn out. This is a really enormous change, as tweets must be creeped for indexing following 2011. Presently, Google will have the capacity to file the same number of Tweets as they choose to incorporate with the methodology. 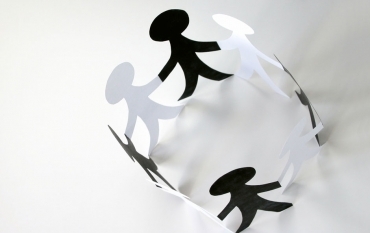 While the arrangement sounds like an extraordinary thought at first glance, we ought to consider why each one organization needs to join together. Twitter was one of the quickest developing informal communities a couple of years prior. Lately, be that as it may, client selection has impede. Actually, there were inquiries concerning whether development had impede as far again as 2012. Twitter is unmistakably worried about moderating development, generally as they are quitting any and all funny business about attempting to make sense of what their continuous income stream will be. They require introduction, and this arrangement will surely place tweets before individuals who have yet to go for Twitter, or clients who are logged out of the administration and may not keep Twitter. From Google's point of view, we ought to have seen the written work on the divider when they started to de-underscore Google+ and origin markup a year ago. By surrendering origin markup, Google+ transformed into a social site and minimal more. Sadly, their test had fizzled and appropriation of the stage was no place close what I'd anticipate that they trusted will see. Given that Google+ was centered around bailing them make sense of social inquiry, they needed to begin exploring their alternatives in the outcome of initiation. It's really clear now that they fizzled at making the stage to accomplish their social inquiry objectives all alone. There's likewise the way that Twitter is an overall wonder, with near to 300M clients marked on to the stage. Regardless of the possibility that those clients normal one single tweet every client every day, that is over a quarter of a billion bits of 140-character content that is generally going un-indexed. In the event that their objective is to comprehend social and component engagement into the calculation, Google must choose the option to discover shared conviction with Twitter in this manner. 5 ways you can protect data on your Mobile Device. The spread of mobile devices in the workplace has created a new security concern for businesses everywhere. Smartphones, tablets, and similar devices make business easier, but they also provide hackers new avenues to your important information and confidential data. Add the use of personal devices as work platforms, and you got a recipe for a disaster. You need ways to protect your mobile data that is both secure and easy to use. Security has no use if it locks you out of your devices, but it has to be robust enough to keep the bad guys out. Fortunately, these five mobile security solutions will work with any mobile device you have. If you have yet to password protected your smartphone or tablet, you need to do it right away. You do not need any extra apps to do this either as most mobile devices come with built-in locking features. You just have to know how to set a password for your device and choose a strong password. You can install another security app if you need more security than what your mobile comes with out of the box. You are not limited to just your device password. You can password each of your sensitive apps individually. You will need a special app to do this, but you can find hundreds of good ones on the iOS and Android app stores. Find one that will let you password protect the other installed apps on your mobile device. If your mobile is not password protected, you are putting your data stored on it at risk for theft or accidental deletion. You can alleviate some of the problem by backing up the data to a secured location. That way you can restore it whenever you need it. Use your mobile’s PC suite to synchronize and backup important data, such as contacts and message, between your computer and the mobile device. Backup the data to a cloud storage service. Anti-theft apps keep your data out of the wrong hands. While the thieves can take you mobile device, anti-theft apps will remotely wipe all your data off the device before the thieves can access it. You can avoid installing malware infect apps on your mobile by restricting your app selection to those in your mobile’s official app store. Malware apps can damage and even steal your important data, but you have no way of knowing if that app you found online is safe or not. For better security, you can install an Anti-Virus application on your mobile device! If you need help protecting your mobile data or have questions, feel free to leave a comment here or contact us for other ways you can secure your data. Imagine this: one day, your computer was working fine. The next day, your Windows computer refuges to boot up or load Windows. This would not be that bad if that project you were working on was stored on the computer. Corrupted Windows systems are so common that most users do not think about it too much. They go straight to re-installing windows or reformatting the drive. Normally, this should not be an issue, and re-installing Windows is usually the solution in such cases. But, formatting the drive and reinstalling Windows into the root partition can be a big problem if you have important files on the drive. You can lose these files during the formatting and installation processes. If you find yourself in this situation, you can recover those files at any time even if your PC will not boot up. The simplest solution is putting the drive into a new computer, especially if you are comfortable with handling and assembling PC components. You just have to remove the hard disk drive from your old, not working computer, and place it into a new one that you know works connecting the drive as either as ‘Primary Slave’ or ‘Secondary Slave’. After booting up the new computer, you should see all the partitions on your old hard drive. To recover the files, just copy them over to another partition on the drive or to a remote storage device. You can then place the old drive back into your old computer to proceed with the OS installation. You are not comfortable removing the HDD from your PC and connecting to another PC. You do not have access to another PC. You are having this issue on a laptop. 1. 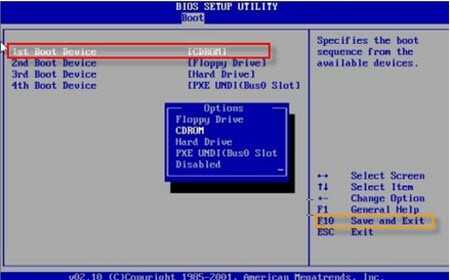 Switch on your computer and press the appropriate key (usually it's F1, F2, F12, or Delete) to enter the BIOS setup. Change your first boot device priority to CD-ROM. Hit the ‘F10’ key on your keyboard to save the BIOS settings and exit. 2. 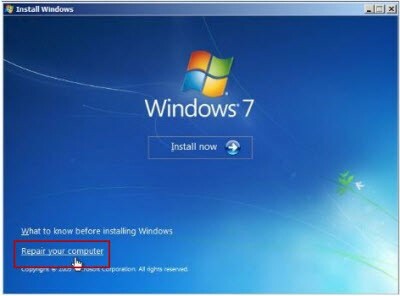 Insert the Windows 7 installation DVD into the optical drive and reboot your PC. When prompted, press any key from your keyboard. 3. On the next screen, click ‘Repair your computer’. 4. Wait while the installer scans your PC for previous Windows installations. 5. 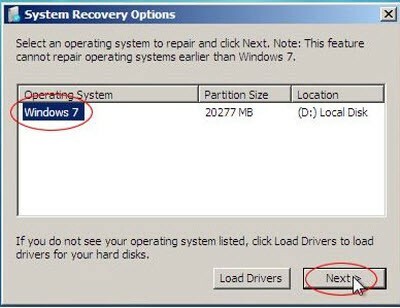 Select the operating system labeled Windows 7 from the list, and hit the ‘Next’ button. 6. 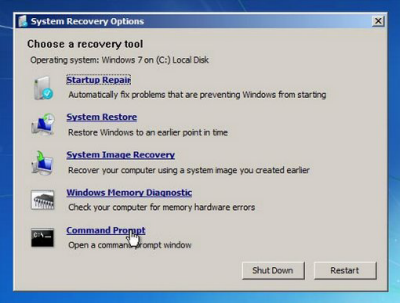 From the list of given recovery tools, click on the ‘Command Prompt’link. 7. 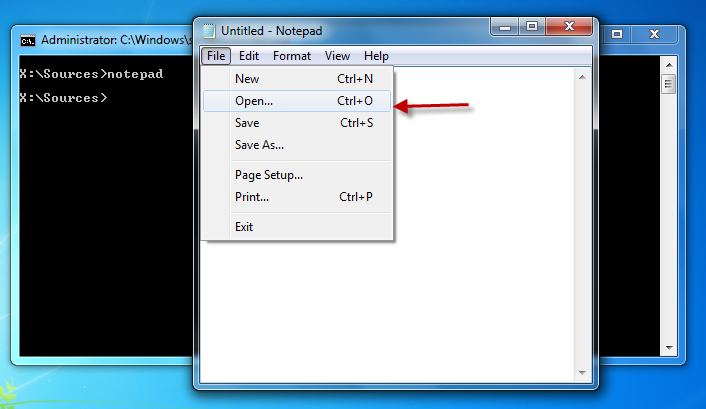 In the Command Prompt window, type ‘notepad’ (without quotes) and hit the ‘Enter’ key. 8. When the Notepad appears, click the ‘File’ menu and choose ‘Open’. 9. You are almost done! Browse through the files and simply copy them to another partition/removal drive. 10. Once you are done with retrieving your files, you can go ahead and perform the Windows installation! 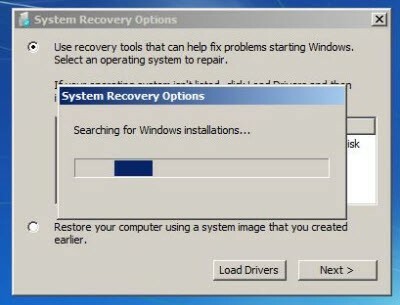 The above solution is for Windows 7, but every version of Windows comes with its own recovery tools. If you need help retrieving your files or using the recovery tools, feel free to contact us at any time. As your company becomes more technology driven, your company may need the services of an IT service desk. A service desk is an IT team that understands how your company uses information and ensures that you have the proper technologies to analyze, produce, and distribute your data. The best service desk teams use Information IT infrastructure Library (ITIL) best practices to manage and deliver your IT services, and should be your first contact for any and all IT questions. According to ITIL, a service desk is the bridge between users and IT service management. Others define a service desk as the single point of contact between your customers, employees, and business partners. Either way, your service desk exists to optimize your IT services on the behalf of your business and to oversee its functions. It handles all your IT incidents and requests, provides an interface for other ITIL processes, life cycle management, and communication with your customers. Basically, your service desk ensures that your IT network is up and running at all times. It does this by managing and monitoring each of the following layers of your IT service. Network Operations: a service desk ensures your IT network infrastructure is optimized to meet your business needs. Systems Operations: your service desk performs all core systems management tasks such as performance monitoring, installation of patches, change management, account management and support for specific platforms, Linux, Unix, etc. Security Management: your service desk performs vulnerability scans, monitors your IPS logs for security breaches and regulation compliance. Facilitate the communication between you and your end users. Service desks also help your company switch between technology-based and process-based IT service management. A service desk lets your company be less dependent on specific technologies letting you connect more easily with business partners and focus more on your core processes without having to deal with technical problems along the way. A good service desk improves your company’s customer satisfaction by allowing you to concentrate on your core business operations, and not on its IT infrastructure. A good service desk will also help your manage your IT infrastructure costs, improve IT operations, and any network disaster that may strike. A good service desk will also keep you informed of the health of your network and solutions to problems that may crop up, and handle all issues as they arise. While service desks are common among large enterprises, business of any size can benefit from them. You also do not have to have one in house. You can use the services of an IT support service provider to act as your company’s service desk. If you feel your company could use a service desk, feel free to contact us right away so we can help you determine your IT support needs. We have come a long way since the days of floppy disks when it comes with external storage. These days you are more than likely to use a USB flash drive as your primary portable storage solution. Also known as pen or thumb drives, USB flash devices are compact, easy-to-use, and seemingly universal storage devices. You can stick them into any computer to view their contents. However, if you store sensitive data on your flash drive, you should considering using password protection on the data or the device to prevent unauthorized access. You can encrypt and protect your data on the flash drive with encryption software or you can get a special encrypted drive with the encryption tools embedded right into the drive. 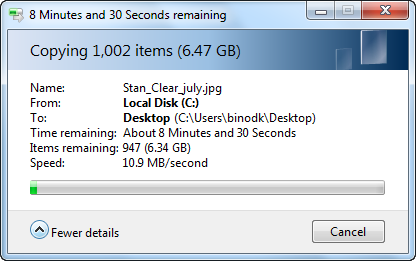 If you only have a generic drive and do not want to buy a new flash drive right away, you can choose the first option. There are several encryption programs out there, and most flash drives sold in the last ten years come with their preferred solution already on them. You just have to install it. Though for this blog post, we will use the open source TrueCrypt disk encryption software. You will need the following items to install the encryption software and to protect your flash drive data. 1. 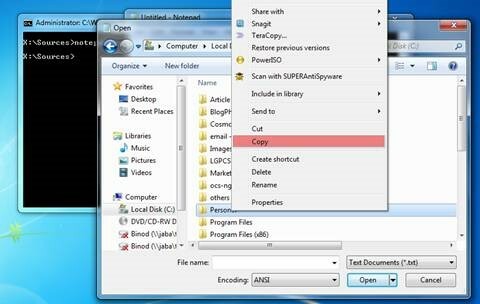 Locate the downloaded TrueCrypt executable file, and double click on it to begin the installation. 2. Review the license agreement and click the ‘Next’ button. 3. Select ‘Extract’and click the ‘Next’ button. 4. Connect the USB flash drive and click the ‘Browse’ button. If you have data already on the drive, back it up before you continue. 5. Select the USB flash drive from the list and click the 'OK' button. 6. Type ‘TruCrypt’ after the USB flash drive letter, and click the ‘Extract’ button. 7. TrueCrypt will extract all the necessary files to a destination path (i.e. USB flash drive under directory TrueCrypt). Click the ‘OK’ button. 9. TrueCrypt will open the destination folder in Windows Explorer. Run the ‘TrueCrypt.exe’ file by double clicking on it. 10. Click the ‘Create Volume’ button. 11. Select the ‘Create an encrypted file container’ radio button and click ‘Next’. 12. Select the ‘Standard TrueCrypt volume’ radio button and click ‘Next’. 13. For Volume Location, type the drive letter followed by the TrueCrypt container file name. Remember to specify the file extension, i.e. ‘.tc’. Click the ‘Next’ button to continue. 14. We recommend that you proceed to the next step using the default option. Click ‘Next’.